Scheduled for December 14th, the Federal Communications Commission (FCC) votes on whether to revoke the Net Neutrality rules. Earlier this year, Congress gave Internet Service Providers permission to collect any private information they can get their hands on then sell it. If you know about this and just want to jump right into action, then head to “What can we do?” and give ’em Hell. For the rest of you, these Net Neutrality rules protect the interests of fair competition in business and the American right to freedom of speech. Everybody worldwide will be affected, so please join us in our battle for a free and open Internet. Let Washington hear you right now! What Does the Revokation of Net Neutrality Rules Imply? 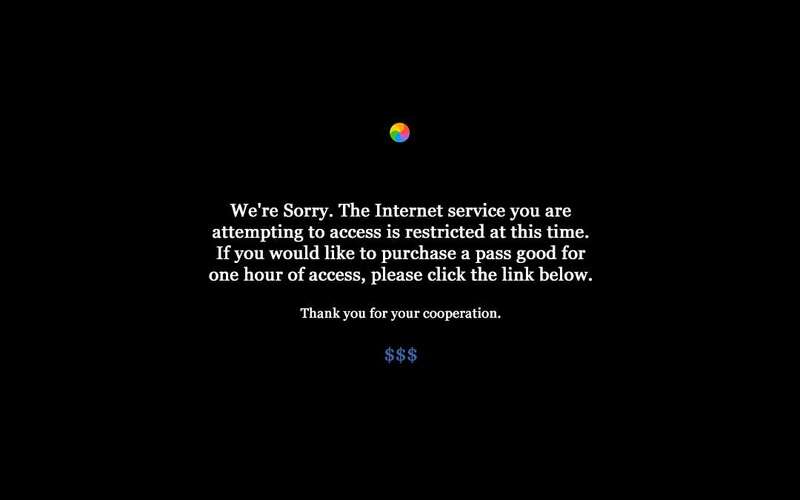 This would give Internet Service Providers complete freedom to restrict access based on any criteria they deem profitable. Why does KFire TV care so much about Net Neutrality? These rules impact us and every one of our readers. Our readership relies upon open, fair access to network bandwidth on the Internet. If Net Neutrality rules get revoked, then even an impregnable VPN will not keep you safe from throttling and access restrictions. By revoking Net Neutrality, the FCC threatens to segregate communities and individuals along with the stifling of free speech. Also, basic consumer protection laws will mean nothing to broadband providers. We truly understand how this fundamentally wrong action by the FCC, if allowed, can enslave most individuals. Act now! We all must act on this issue immediately. If you care at all for an open Internet or basic individual liberties, please call and write to your local lawmakers today. Let them know the open Internet rules need to stay. Don’t Allow The FCC To Take Net Neutrality Away! The European equivalent to this battle ended successfully on the side of freedom just over a year ago. Don’t let big business take away our basic American liberties. Every time they stick their fingers in our pie, cut the darned things off. They want to steal the whole thing and make us beg for a piece. This video from Fight For the Future may change your mind. 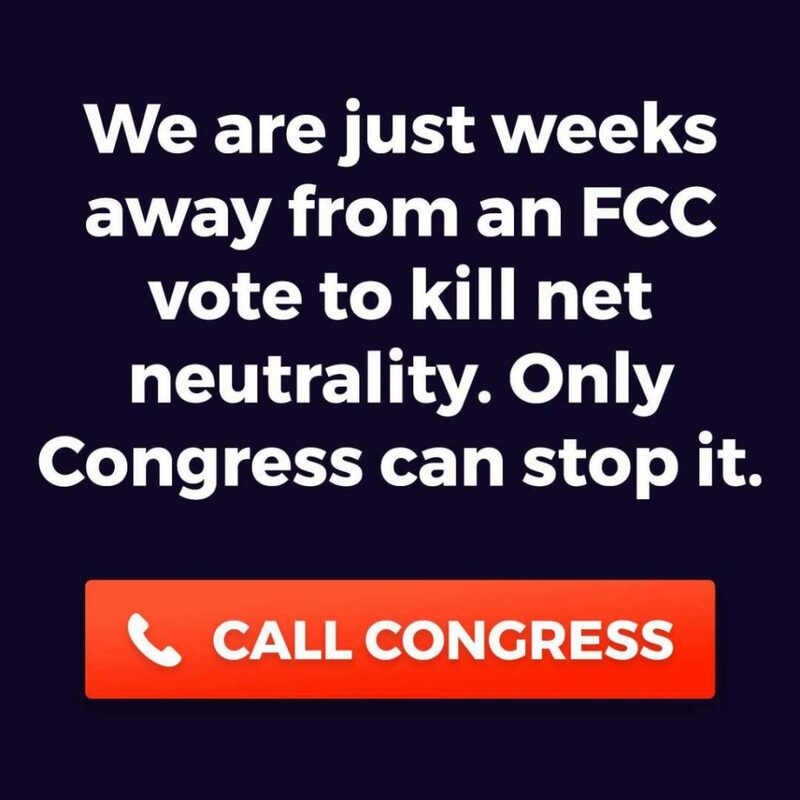 We can stop the FCC and save Net Neutrality, but only if we all write and call Congress immediately. We need to stick together in this, or that one percent might as well own us outright. Net Neutrality means freedom of speech, choice, and opportunity! To every American: know the world relies on us to do the right thing at this critical time!